Celtic Heritage Society had been registered in April 2009 in Yambol District Court, with registration address: Hlyabovo village, Topolovgrad municipality. On December 01.2015 The Society has 23 regular members /22 physical persons and 1 juridical person – NGO/ and 14 honorary members from Bulgaria, Ireland, Great Britain and Russia. 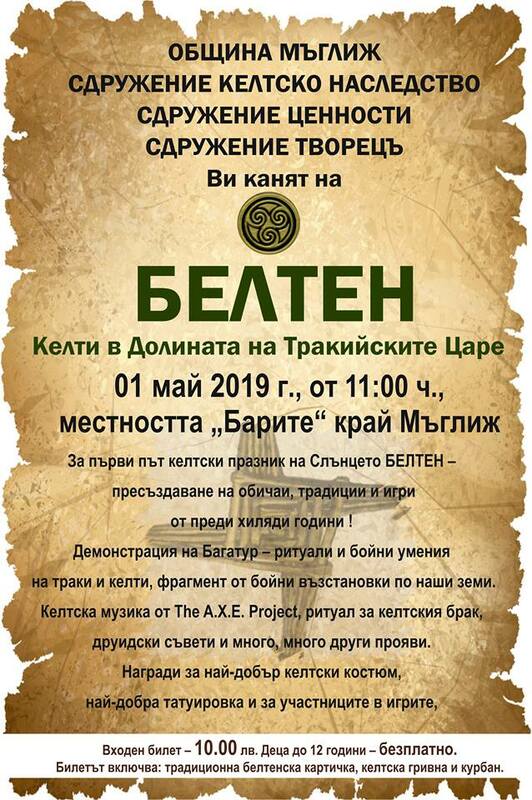 Our main task is to popularize Celtic traditions, cuisine and music, to reconstruct Celtic holidays as cultural and touristic events for Bulgarians and tourists.